Breastfeeding is not always easy, so making sure you get the right position and that you both are comfortable is a must. 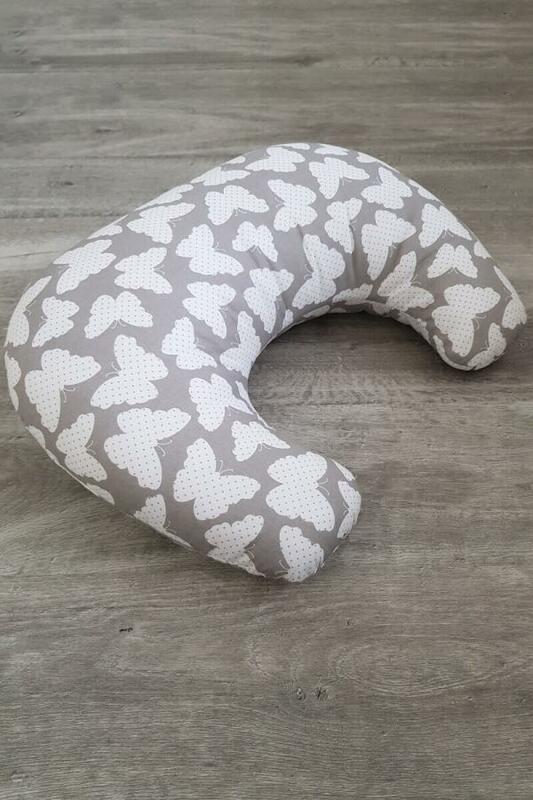 This nursing cushion can be positioned around your waist at the front or your side to rest your baby on to ensure they are at breast height to get a good latch. Its also a great help if you are breastfeeding twins and can position one baby under each arm. Features a removable washable cover and a beautiful butterfly print.